Hemp seed is a part of the cannabis plant (marijuana), which is one reason the world has turned a blind eye to its benefits. But the seed doesn’t cause any psychotropic reactions like marijuana, and hence, we can now take a look at it. Hemp seed oil is rich in essential fatty acids and antioxidants that combat lethal diseases like cancer and inflammation and diabetes. 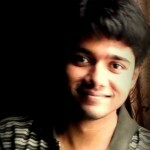 Well, there’s more to the oil – and to know that, you must read this post. What Is Hemp Seed Oil? What Is It Good For? What Is The Nutritional Profile Of Hemp Seed Oil? 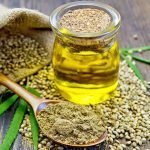 What Are The Side Effects Of Hemp Seed Oil? Hemp seed oil is derived from hemp seeds. Though marijuana comes from the same plant, hemp seeds contain just trace amounts of THC (the most active ingredient of marijuana), and as you might be wondering, they don’t get you high. The oil is filled with antioxidants and anti-inflammatory properties and other essential fatty acids (like GLA, which we will discuss in a while), all of which are known to combat diseases like inflammatory arthritis, cancer, diabetes, and heart disease. That’s it in a nutshell. But yes, we know, the details are what would interest you. You can use hemp seed oil to varnish woodwork as well. Just mix a little oil with lemon juice and apply it over finished wood using a cotton ball. Hemp seed oil is rich in GLA (gamma linoleic acid), which is an omega-6 fat that boosts immunity and fights inflammation. GLA works by promoting the production of prostaglandins, which are hormone-like chemicals that control inflammation (1). The oil is also a good source of anti-inflammatory compounds, which can help relieve arthritic symptoms – though we need more research on this. Hemp seed oil has also been found to treat multiple sclerosis (which can be caused by inflammation) (2). It might help treat fibromyalgia too. Certain bioactive compounds found in hemp seed oil can lower blood cholesterol levels and protect the heart. The oil has omega-6 and omega-3 fatty acids in the optimal ratio – 3:1. This ratio was found to be more beneficial for cardiovascular health as opposed to higher ratios of omega 6: omega 3 fatty acids (3). As per another animal study, hemp seed oil was found to reduce cholesterol absorption. 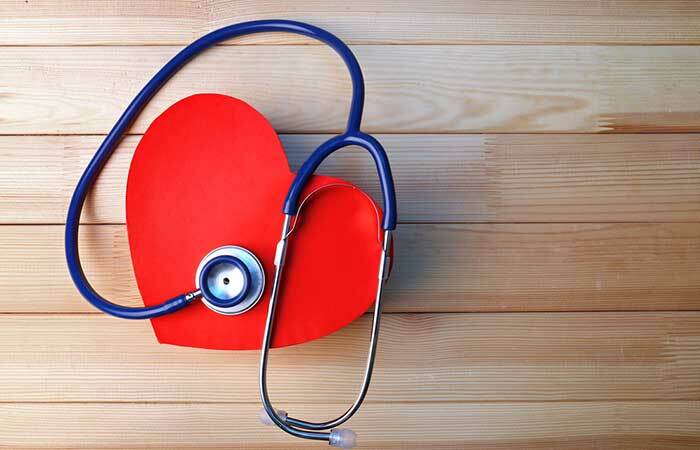 Another study states that taking 30 mL of the oil every day for four weeks reduces the ratio of total cholesterol to HDL cholesterol, which can promote heart health. The essential fatty acids in hemp can help reduce the levels of unhealthy fats in the body, and this enhances cardiovascular health. Diabetes is also linked to a deficiency in essential fatty acids, and given that hemp oil is rich in them, it can work as a good supplemental treatment (4). However, we need more research before we conclude that hemp seed oil can benefit diabetics. As of now, please consult your doctor before using the oil. Given its perfect fatty-acid profile of GLA and omega-3s, hemp seed can fight inflammation and cancer too. According to the British Journal of Cancer, hemp can reverse glioblastoma multiforme, which is a severe form of brain cancer (5). Other studies have shown how cannabinoids derived from hemp seeds aid the treatment of cancers of the lung and breast. They achieve this by inhibiting cancer growth and proliferation. Hemp seed oil contains cannabinoids, chemicals that bind to specialized receptors in the brain. And studies have shown this can ease anxiety, especially social anxiety (6). The oil also has anti-depressant effects, as per another Brazilian study (7). The essential fatty acids in the oil can boost brain health in other ways – they improve memory and might prevent age-related cognitive decline. Inhaling the oil (aromatherapy) is believed to enhance the mood as well. Studies have shown that individuals taking GLA supplements for a year gained back less weight. Since hemp oil is rich in GLA, it can be beneficial in this aspect. The omega-3s in hemp seed oil might also contribute to weight loss in some way. But there is very little research here. We advise you to talk to your doctor first. The omega-3 fats and GLA make hemp seed oil a wonderful remedy for a weakened immune system (8). The oil boosts immunity and prevents disease. Hemp seed oil is also a great option for all pregnant mothers. And yes, again, a major part of the credit goes to the omega-3 fatty acids. According to an American study, adequate intake of omega-3 fatty acids is critical during pregnancy as they are the building blocks of the fetal brain and retina. They also play a major role in preventing perinatal depression (9). Oils containing omega-3 fatty acids can also help prevent preterm delivery and promote an easier birth and the baby’s optimum lifelong wellness (10). However, there are some sources that highlight the potential ill effects of hemp seed oil during pregnancy. For this reason, we recommend you consult your doctor. Hemp seeds seem to benefit the digestive system. Thanks to their fiber content (both soluble and insoluble), they relieve constipation and bloating and ease bowel movements. In regards to the oil, the small amount of protein it contains is identical to the one present in our blood, and it is given to patients suffering from digestive troubles (as the protein gets easily digested in the human body) (11). Eicosanoids, the hormone-like agents produced by the omega-3 and omega-6 fatty acids, have been found to regulate the secretion of digestive juices and hormones. This can aid the overall digestive process. In America, it was legal to pay taxes with hemp from the 1630s to early 1800s. The GLA in hemp seed oil might ease menstrual cramps. According to the University of Maryland Medical Center, some of the symptoms that improve on using hemp oil include breast tenderness, feelings of irritability and depression, and swelling (12). Hemp seed oil can help you get beautiful and healthy skin. It acts as a moisturizer and prevents your skin from becoming dry during the winters. In other words, it keeps your skin soft, fresh, and hydrated. Simply apply hemp seed oil all over your body after taking a bath. You will notice the difference in a few days. Also, the oil doesn’t clog your pores. It contains 60% linoleic acid, which regulates sebum production. Lack of linoleic acid in the diet can provoke the sebum to clog our pores – which then gives rise to blackheads, whiteheads, or acne lesions. You can simply wet your face, pat it dry, and apply the oil to the affected areas. Massage properly. Use it once a day. You can use hemp seed oil in a similar way to remove makeup as well. Some reports suggest that hemp seed oil can be used as a treatment for eczema. The essential fatty acids in the oil act as an internal moisturizer – which help relieve eczema symptoms (13). Taking the oil thrice a day, along with applying it on the affected areas on the skin, can be beneficial. Using the oil every day for 20 weeks was also found to relieve the symptoms of dermatitis. This is especially true with the itching associated with the condition. The oil can even help improve shingles, which is one type of rash. Hemp oil can reduce the inflammation and even protect the nerve cells (that are usually attacked in this condition). Consuming hemp oil can help you deal with the symptoms of pain. But since each case of shingles could be unique, we suggest you talk to your doctor and take his advise on the way you need to use hemp oil to treat your condition. Hemp seed oil can also be used to prevent sunburns. It has an SPF of 6, and this should be enough for most people in mild conditions. You can add zinc oxide to it to boost its SPF rating. The oil is one great way to soothe a sunburn as it protects the delicate layers of the skin. Hemp seed oil is packed with lipids that add moisture and shine to your hair. It strengthens fragile strands and can make your hair thicker. It can promote new hair growth as well. Using the oil on the scalp can also reduce several scalp problems – it can relieve itchiness, dryness, and dandruff. The oil also improves blood circulation to the scalp and can be an effective treatment for scalp psoriasis. You just saw the different ways hemp seed oil can benefit you. Knowing its nutritional profile can help you understand the benefits better. That’s with the nutrients. And now, we get to one important question – is hemp seed oil legal? Given it is a cousin of marijuana, and given marijuana is not yet legalized in several parts of the US, is it legal to use hemp seed oil? Are you breaking the law while buying hemp products? We know you have those questions on your mind. Here you go. According to a report by the United States Drug Enforcement Administration, hemp and marijuana are separate parts of the species of the cannabis plant (14). Under federal law, the focus of the government falls on those parts of the cannabis plant that are the sources of THC (tetrahydrocannabinol), the hallucinogenic substance in marijuana that causes people to get high. And hemp does contain THC. Though it is present only in trace amounts and doesn’t get you high, it still does contain THC – and as per the rulebook, that’s a problem. So, what’s the solution? Well, the good news is that most manufacturers who market hemp seed oil ensure there is no THC. Hence, the best way to go about it is to check the ingredients listed on the product labels. If there is no THC, you are good to go. Otherwise, better to go for a different manufacturer or take the advice of the store owner. Some reputable brands of hemp seed oil that you don’t have to worry about include Nutiva and Canada Hemp Foods. That’s all about the legalities. Nothing to worry about, though. And just like anything you get from nature, hemp seed oil also has some side effects. Hemp seed oil can slow down blood clotting and lead to bleeding. Hence, don’t use it if you are taking blood thinners or have a surgery scheduled within a month. This could be true with the seeds and not the oil. The high fiber content might lead to constipation, gas, or diarrhea (when you quickly increase your fiber intake slowly and don’t drink enough water). Though highly unlikely, you might experience hallucination or euphoria on consuming the oil. To avoid this, get into the habit of checking the product labels, and go only with trusted brands. Clear your mind off the worry – you won’t be arrested for buying hemp seed oil. Just be careful about the THC content, and the benefits of hemp seed oil are yours to enjoy. Tell us how this post has made a difference to you. Simply leave a comment in the little box you see below. Yes, but only in trace amounts. CBD (like THC) is another compound found in the cannabis plant. Can hemp seed oil get you high? It won’t. We repeat – hemp seed oil won’t get you high. Ensure you go with the right brand. Can hemp seed oil affect a drug test? No. Not at all. The amounts of THC in the oil are negligible, so much that you may not even notice the symptoms of euphoria. And on top of that, if you stick to the right brand, you won’t have a thing to worry about. How much of hemp seed oil can you take in a day? You can take about 1 to 2 tablespoons of the oil. Any substitute for hemp seed oil? Olive oil is one good substitute. Olive and hemp oils are two oils you can find in their unprocessed state, which means you can get the most nutrients. What about hemp seed oil for cooking? You can use the oil for everyday cooking, just like any other oil. 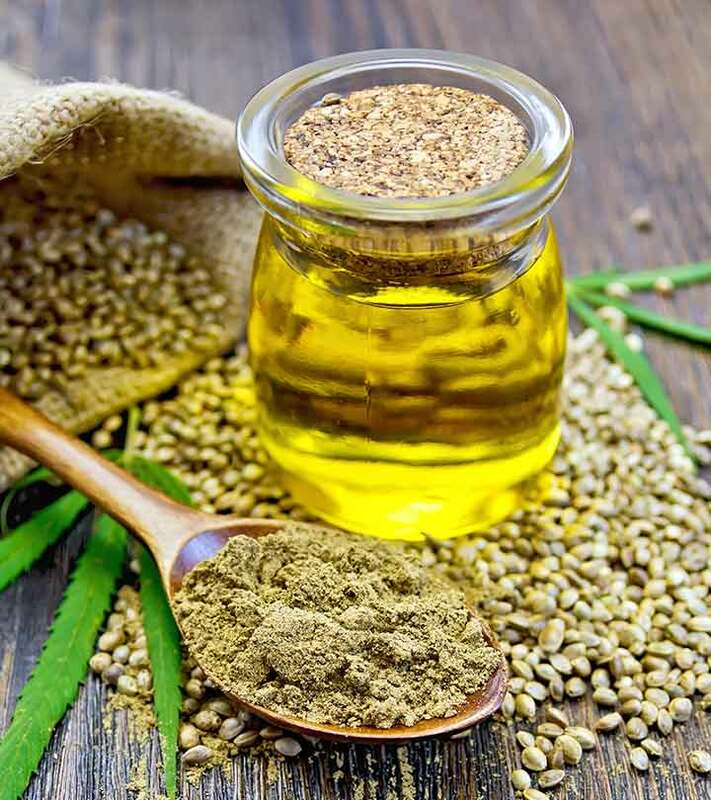 What is the shelf life of hemp seed oil? The average shelf life is 14 months. Or whatever the bottle says. What is cold pressed hemp seed oil? The oil pressed from hemp seeds, which is how the oil is made. 1. “The cardiac and…”. US National Library of Medicine. 2. “Review of anti-inflammatory herbal medicines”. US National Library of Medicine. 3. “Hempseed oil may be good part…”. Fox News. 4. “Benefits of hemp”. Drexel University. 5. “A pilot clinical study of…”. British Journal of Cancer. 6. “Neural basis of…”. Journal of Psychopharmacology. 7. “Antidepressant-like…”. US National Library of Medicine. 8. “6 steps to strengthen your immune system”. Bethlehem University. 9. “Omega-3 fatty acids and pregnancy”. US National Library of Medicine. 10. “Omega 3 oils and pregnancy”. US National Library of Medicine. 11. “Welcome to frequently asked…”. Auburn University. 12. “Gamma-linolenic acid”. University of Maryland Medical Center. 13. “Eczema healed by hemp oil”. Dailymail. 14. “DEA clarifies status of hemp…”. United States Drug Enforcement Administration.